Egyptian security forces say they’ve killed 14 militants and seized a ton of explosives in an operation in the restive northern part of the Sinai Peninsula, like reported by abcnews.go.com. 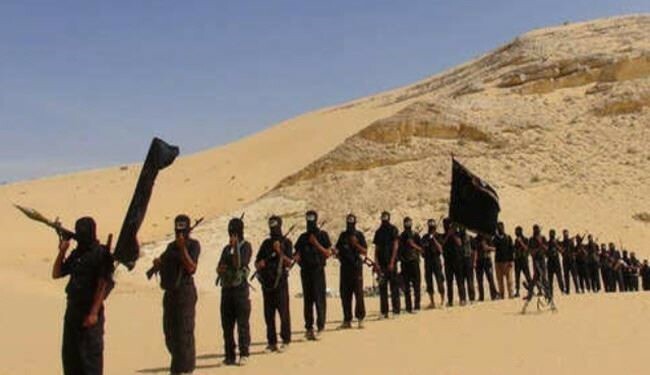 They said that their offensive involved clashes with Islamic militants in desert areas outside the city of el-Arish, adding that the extremists had intended to plant roadside bombs in areas between there and the cities of Rafah and Sheikh Zuweyid. Other weapons caches including explosives were found in the more central Sinai Jabal al-Halal mountain area. The officials spoke anonymously as they weren’t authorized to brief reporters. The army has been battling extremist insurgents led Islamic State militants in north Sinai for years. The area is off limits for journalists, diplomats and other observers so information from there cannot be independently verified. The Faiez Serraj Presidency Council and Government of National Accord’s Ministry of Health (MoH) has reported 6 dead and 38 injured as a result of the south Tripoli militia fighting that restarted Tuesday and escalated yesterday, like reported by libyaherald.com. The resumption of fighting puts an end to the UNSMIL-brokered Zawia ceasefire agreement of 4 and 9 September 2018 between the two sets of antagonists. That ceasefire agreement had ended the militia fighting that had started on 26 August. Of the 6 dead, 3 were fighters, 2 civilians and 1 body was categorized as unidentified. The 38 injured consisted of 36 militiamen, 2 were civilians and the MoH reported 1 person as missing. The Tripoli-based Nawasi brigade reported yesterday that two of the dead were their fighters “defending Tripoli”. The Tripoli Revolutionaries Brigade (TRB) also named two of the dead as its own. The fighting is between the Serraj-aligned Tripoli Protection Force (TPF) and the Tarhuna-based 7th Infantry Kani Brigade. 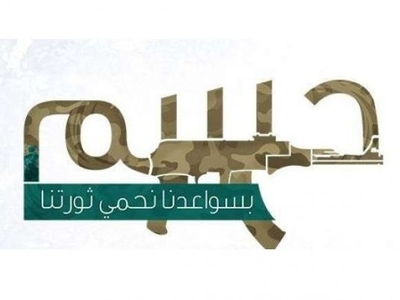 It will be recalled that four main Tripoli-based militias had amalgamated last December into one main force, and rebranded themselves as the Tripoli Protection Force (TPF). The four main militias are: The Tripoli Revolutionaries’ Brigade (TRB); Abusleem Deterence and Rapid Intervention Force; the Nawasi 8th Force; and the Bab Tajura brigade. The fighting ostensibly broke out after the Serraj government took control of the Tripoli International Airport site in order to secure it and hand it over to the Italian consortium to commence its construction work. Both sides blamed the other for restarting the fighting. Tarhuna Municipality yesterday announced a school holiday and a general curfew. The Serraj Ministry of Health yesterday put its health sector on alert and a field hospital was erected and ambulances were stationed on the edges of the conflict zone. Schools were closed in the fighting area of Gaser Benghashir with some civilians abandoning their homes to stay with relatives in Tripoli and elsewhere. Sound of gunfire and explosions could be heard in some parts of Tripoli. The Serraj Ministry of Interior (MoI) issued a statement in which it warned of the humanitarian situation. It said civilians were terrorized “due to clashes between uncontrolled armed groups”. It warned that it will take necessary measures to secure the airport. The Serraj MoI statement follows on from a statement by UNSMIL yesterday in which it warned against the resumption of fighting. It warned those responsible will be held accountable. A spokesman for Libyan National Army based in the eastern city of Benghazi says its troops are launching an operation “to cleanse” the country’s south of Islamic militants and criminals, like reported by dailymail.co.uk. Ahmed al-Mesmari of the Libyan National Army that answers to Field Marshal Khalifa Hifter told reporters on Tuesday that the operations aims to “eliminate gangs, Islamic State terrorists and criminals” in the south. 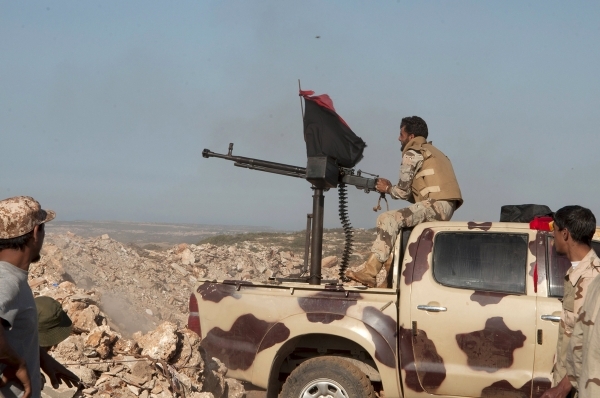 The U.N. recently deplored deteriorating security in southern Libya. Libya slid into chaos after the 2011 uprising that overthrew and killed long-ruling dictator Moammar Gadhafi. 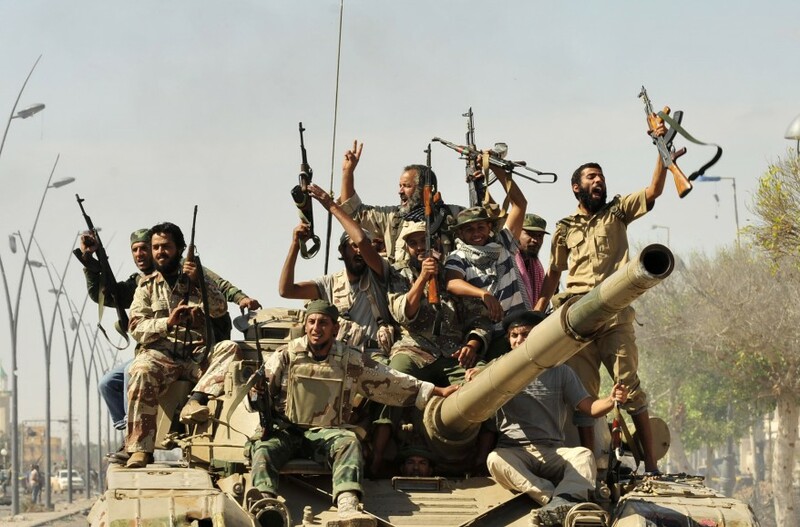 The country is currently governed by rival authorities in Tripoli and the east, each backed by an array of militias. In spite of the Egyptian army’s success in significantly lowering the level of terror of the ISIS offshoot in northern Sinai, it has not managed to eradicate the organization, which, according to security sources in Israel, still has some 2,000 fighters in northern Sinai, like reported by jns.org. On Jan. 11, the Egyptian army successfully used a drone to kill 11 terrorists who were driving in a car and on two motorcycles to carry out a terror attack in the vicinity of the town of Bir al-Abad in northern Sinai. However, terrorist attacks continue on a daily basis despite the massive presence of the Egyptian army in the area. In an interview with the American TV channel CBS on Jan. 3, Egyptian President Abdel Fattah El-Sisi confirmed that there is close cooperation between Israel and the Egyptian army in the war on terror against ISIS in the Sinai Peninsula. In 2018, The New York Times reported that Israel carried out around 100 aerial bombardments of terror targets in Sinai during 2017, with Egypt’s full coordination. Egyptian publicist Majdi Sarhan published an article on Jan. 5 in support of President Sisi’s statements in the Egyptian daily Al-Wafd in which he confirmed that there is coordination between Israel and Egypt against “terror gangs” in the Sinai. In his words, the Egyptian army’s military operations in Sinai would not have succeeded without coordination with Israel, in accordance with strategic and security agreements signed between both countries. The Hamas interior ministry in Gaza announced at the beginning of January 2019 that it had arrested 54 collaborators with Israel following an operation by a special IDF force in the area of Khan Yunis on Nov. 12, 2018. The newspaper Al-Araby Al-Jadeed reported on January 9 that dozens of foreign fighters joined the ranks of the ISIS branch in Sinai from Syria, Iraq and Libya in recent years, without anyone investigating their security background, hinting that some could be working for Israeli intelligence. 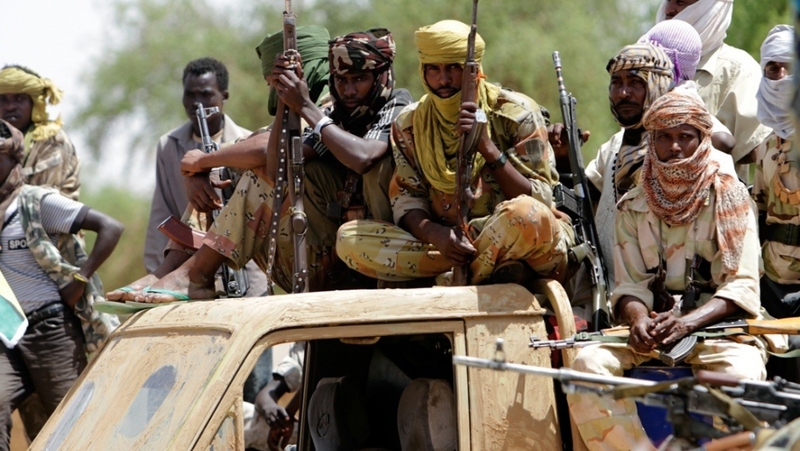 The United Nations group of experts on Sudan said that the Darfur armed groups have reinforced their presence in Libya, some of whom had participated in the military operations carried out by the so-called Dignity Forces, like reported by libyaobserver.ly. “These groups are involved in mercenary activities and others, such as smuggling, establishing illegal checkpoints, and banditry,” UN group of experts clarified in their report. They also warned that the groups could become an integral part of the conflict if their presence was protracted in Libya. The Egyptian parliament yesterday approved a decision to extend a nationwide state of emergency for an additional three months, like reported by middleeastmonitor.com. “On 10 January, the House of Representatives received a decree from president Abdel Fattah Al-Sisi, in which he ordered an extension to the state of emergency throughout the country for a further period of three months starting from 15 January,” the parliament speaker, Ali Abdel-Aal, told local media. According to the parliament’s bylaw article 131, Abdel-Aal said, the majority of the parliament members (MPs) must approve the decision ahead of its implementation. “Following a vote, more than two-thirds of MPs agreed on the presidential decree and the extension of the state of emergency for three months was approved,” he noted. This is the seventh time for the Egyptian government to make a similar decision. Al-Sisi first imposed the three-month state of emergency in April 2017, following twin bombings at two churches in Gharbeya and Alexandria provinces, which both left 47 killed and 120 others wounded. The Tunisian army and security forces have increased security alert level to the maximum on borders with Libya and Algeria, days after the US Department of State warned US citizens to avoid travel to Tunisia due to increased risk of terrorist attacks against foreign and domestic targets in the country, like reported by aawsat.com. 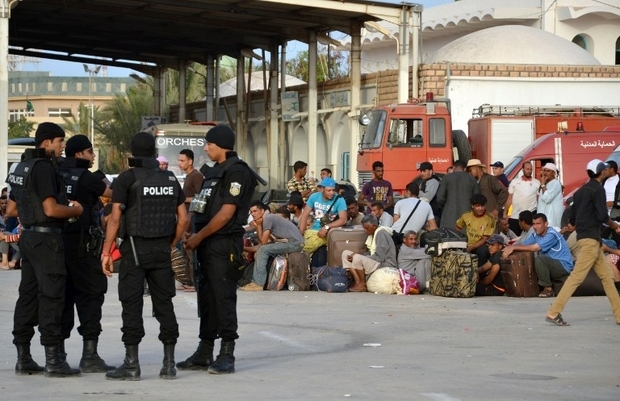 Tunisia’s high security and military presence at 11 border crossings shows seriousness in dealing with the US warning. Terrorist groups continue plotting possible attacks in Tunisia. Terrorists may attack with little or no warning, targeting tourist locations, transportation hubs, museums, resorts, hotels, festivals, nightclubs, restaurants, religious sites, markets/shopping malls, government facilities, and security forces, according to the US warning. Interior Minister Hichem Fourati belittled the US warning saying that “these warnings do not only concern Tunisia but rather involve all the countries of the world”. “Many European countries, including Great Britain, have already eased their restrictions on travel to Tunisia, which they have sent to their nationals, thereby recovering many of the traditional destinations on the Tunisian tourist market,” the minister said. According to Tunisian military sources, some terror suspects confessed that a terrorist group called “Ahrar al-Janoub” (Free South) is plotting terrorist attacks starting from the south. 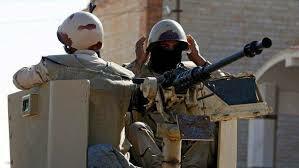 The interior ministry revealed that it has been following four terrorist members of this group. Tunisia commenced at the beginning of 2019 the implementation of a new security plan to combat terrorism. It primarily depends on attacking terrorist members suddenly in mountain regions and running ahead their suspicious movements. This plan began in Kasserine and will gradually reach other states along the western border. Egyptian officials suspect a violent branch of the Muslim Brotherhood, called the Hasm Movement, is responsible for a Dec. 28 terrorist attack that killed three Vietnamese tourists and an Egyptian tour guide, like reported by investigativeproject.org. 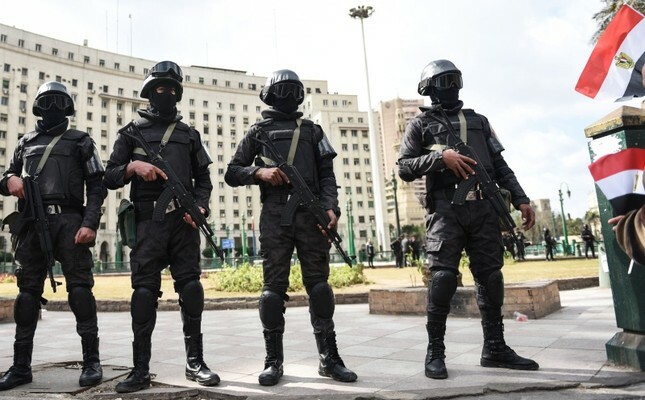 Authorities believe that the attack on a tourist bus near the Giza pyramids was in retaliation for a preemptive strike Egyptian security forces carried out eight days earlier that killed eight Hasm militants and saw four others arrested. The raid on the Hasm hideouts aimed to thwart planned Christmas and New Year’s attacks. Officials found stashed assault weapons, remote-controlled planes, a drone chassis and materials used to make improvised explosive devices (IEDs) that have been used in attacks similar to the tourist bus bombing. In a televised confession after last month’s raids, detained Hasm member Amr Ayman Alyeddin admitted being an active member of the Muslim Brotherhood. He said that he joined the Brotherhood’s military cells through a recruiter named Yasser Al Zeiny, who is in Egyptian police custody. Alyeddin says Al Zeiny connected him to a trainer who took him to terrorist camp outside Cairo. Alyeddin was taught how to use weapons and given religious law training. Another cell member, Saladin Hamed, said he was told that the Brotherhood leadership abroad has reformed the cells into military units with codenames. The cells operate independently. Egyptian police raided two terrorist hideouts in Giza in response to the bus attack, reportedly killing 40 terrorists. Hasm is the Muslim Brotherhood’s most effective militant wing, Okasha said, as Liwa Al Thawra has been weakened by the government. Hasm was formed in 2014, while Liwa Al Thawra emerged in 2016 as a splinter group from Hasm created by Brotherhood leader Mohamed Kamal. Kamal was killed in October 2016 in an exchange of gunfire with security officers. Meanwhile, authorities also are investigating why the tour bus carrying the Vietnamese tourists strayed from a heavily patrolled route. While the attack on the Vietnamese tourist bus created fears that Egypt’s recovering tourism industry would suffer, there are not yet any indications of any declines in visitors. Egyptian officials point to a sharp drop in terrorist attacks in the country. A new report says there were just eight terrorist attacks last year, down from 222 in 2014. Aside from the threats posed by ISIS-affiliated groups in North Sinai, Hasm remains a challenge for Egyptian security forces as it plots to disrupt the improved security that the country is seeing. Other Hasm operations in the past few years include failed assassination attempts on former Grand Mufti Ali Gomaa, Deputy Attorney General Zakaria Abdulaziz and Judge Ahmed Abou El Fotouh – who presided over the prosecution of ousted Egyptian President Mohammed Morsi of the Muslim Brotherhood. Hasm also claimed responsibility for attacks on police, including the 2017 assassination of national security officer Ibrahim El Azazi. Its attacks are not limited to Egyptian targets. Hasm claimed responsibility for a small explosion outside the Myanmar Embassy in Cairo in October 2017 to avenge Rohingya Muslims. “This bombing serves as a warning to the embassy of murderers, killers of women and children in the Muslim Rakhine State, and in solidarity with the sons of this weakened Muslim population,” a Hasm statement said. The IED attack on the Vietnamese tourist bus indicates there is plenty of reason to worry. Lebanese security forces have arrested three Syrians with links to Daesh terror groups across the Middle East and Europe, like reported by arabnews.com. The Lebanese General Directorate of General Security said that investigations were ongoing and more arrests were expected. One of the detainees had been plotting a bombing campaign against Lebanese military and civilian targets, while also producing videos on how to make explosives. The announcement coincided with a speech by the Lebanese President Michel Aoun, in which he expressed concerns about the economic and security pressures being placed on Lebanon by the number of Syrian refugees in the country. He said the war against terrorism was now a global one which had caused huge displacements of populations in countries throughout the Middle East. Aoun said: “Lebanon is one of the countries that have borne the burden of neighboring wars and the flow of Syrian refugees into it.” He added that while Lebanon had been successful in tackling terrorism on its own soil, the refugee crisis continued to “weigh heavily” on economic, security, social, educational and health aspects of the country. He said Lebanon’s infrastructure and limited resources “are unable to sustain this population increase,” and he urged the international community to take urgent steps to help resolve the refugee situation. Peace in the region, he added, would only come by recognizing the rights of others, however difficult and costly that may be. One of the detainees was said to have confessed allegiance to Daesh through a Syrian group religious leader in the Lebanese town of Arsal. The statement said the detainees had revealed that groups supporting the terrorist organization had been set up through social networking sites to attract recruits. 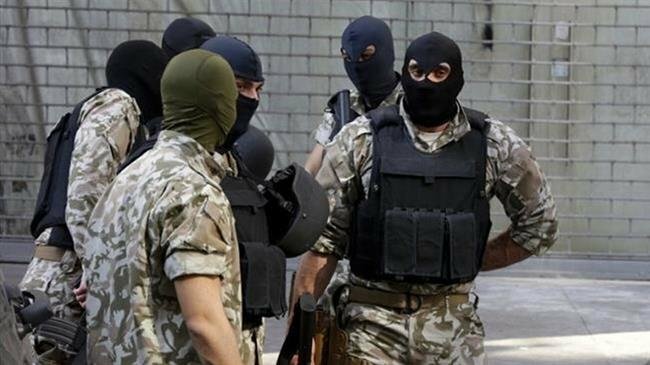 One of those arrested had been recruited to form a terror cell to operate within Lebanese territory and was associated with a Daesh Iraqi commander and other commanders in Syria, Palestine, Turkey and Europe.